I am pleased to share that we launched our latest family resource, “Can Do” Street Family Friendly Cruises! 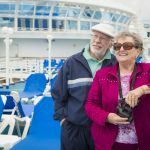 Our new site shares information on what cruising offers every member of the family, from the toddler to its senior members including children and adults with special needs, whatever their ages. 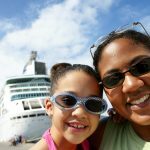 Each week, I will publish a post about a new aspect of cruising in my blog, Cruises…Resorts at Sea, located on the “Can Do” Street Family Friendly Cruises web site. To make “Can Do” Street Family Friendly Cruises a reality, I became a Cruise Planners Franchisee. Cruise Planners is an American Express Travel Representative. As a Travel Agent I will draw on what I have learned from the 40+ cruises I have taken over the past 25 years, and my 30 + years as an educator and a recreation therapist designing and running programs for preschoolers through senior citizens. My cruise planning and booking services will be offered, by telephone, at no cost to you. All major cruise ships sailing from ports world-wide to destinations all over the world and river cruises. Weekly cruise value packages that make cruising an affordable vacation for families, focusing on cruise ships that offer 2 kids sale free or sail at a reduced rate..
Group rates that enable extended family members and friends to sail together for a reduced rate. What you need to know about before deciding to take a cruise, including information about youth programs, meals, laundry, priority boarding, insurance, medical care, accessibility and other special needs accommodations on shipboard, and in ports of call. Knowing if a ship has the amenities you want and need will insure a comfortable and enjoyable trip for every member of your family. 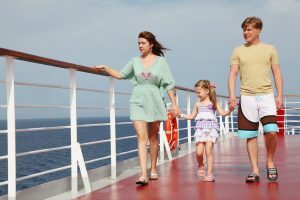 What Makes Cruises Family Friendly? Sea activities: Throughout the trip, all activities during the day and in the evening are free with the exception of the game arcade, casino, and spa services. For more on shipboard activities, see the Cruise Critic article, A First Timer’s Guide to Onboard Activities. Youth programs: All youth programs are complimentary. Program participation is on a first come, first served basis. Children are grouped by age. Staff are professionals experienced in providing recreational activities and supervising children and teens. There are children’s programs and programs for teens. Programs begin at 9 AM, break for lunch with family, begin again in the early afternoon and go until 5 PM. Evening programs begin at 7 PM and close at 10:30 PM. During land excursion days, children can remain in the youth programs. There is a small fee for staff supervision of children remaining in program during meal times. To view a sample of a youth program, Read About the Splash Program. 2 Kids Sail Free is offered on several cruise ships making for an affordable family vacation. Other cruise ships offer reduced rates for children. Ages vary by cruise line from 17 years and under to 12 years and under. Other cost saving promotions include on board credits that cover specialty dining packages for 2, beverage packages for 2, Internet access discounts, and shore excursion credits. Special group packages not only reduce the cost of a cruise, but also provide additional amenities not offered with regular cruise packages. Laundry: Cruise ships either have self-service laundries on most floors, or they offer discounts for laundry services. You put the laundry out after dinner and it is delivered to your cabin, usually the next evening. If laundry service is an issue for you, before you book a cruise, check with the cruise line to determine if they have self service, a fee-based laundry service or both. Dining: Cruise ships offer several complimentary restaurants, including 2+ traditional dining rooms with waiter service; a less formal buffet dining experience features a variety of ethnic foods and a few eateries feature pub foods or desserts. Another option is the Specialty Dining offerings that carry a charge, such as a steakhouse, dinner theater, French, Japanese or Italian restaurants. The charge connected with eating in these restaurants is less that what the same meal would cost at a land restaurant. Medical Care: Cruise ships have on board medical services that are open for several hours a day, and a medical staff on call round the clock. Please visit “Can Do” Street Family Friendly Cruises. If you have questions about how cruises can be a fit for your interests and budget, just call me at 800-388-8781.